The classic struggle between a person and time! As she runs, trying to board the train that had just started to leave, she struggles for her balance and manages to get on the train. She sighs and mumbles to herself, “the daily struggle between a person and time”. The train then starts to pick up speed with a jerk. Looking up, seeing the same old faces smiling at her, she continues in the compartment, contemplating the monotony of her life. Reema was a working woman with two children and a loving husband. She had already gotten so late for her work and yet again the railway added to her misery. Usually, she was good at keeping the track of time and getting everything done before the clock struck 8. But today as she took a little more time enjoying her morning tea, rotis got burnt and so did the pohas which was her children’s favourite breakfast. And eventually, cooking everything from the scratch took more time and hurriedly she left her house rushing towards the station. Finding herself a seat, she thought if she was not even worthy of the little more time that she took. It wasn’t like her husband or the children ever complained to her about anything, but now it seemed that she had set some boundaries for herself. Just then, as the train reached the next station, a girl, in her late teens, boarded the train with two of her friends, all laughing their cheeks off. This daily commutation between Kalyan and VT (present-day CST) was a tiresome task. But her encounters with the fellow passengers made this journey easier to bear. She hadn’t really known these girls who were standing in front of her but she had seen them often in her journey. She used to grin unknowingly seeing them as they reminded her of her own college days and her college friends who were now distant. Today was no different, or so she thought. When one of the girls turned to her, they both stopped smiling and blankly looked into each other’s eyes for a second. The girl turned her face back to her friends and started laughing again as though nothing was wrong. It was now, that Reema realized that something about their presence was ticking her off. She had seen this face before. She had seen these brown, almond shaped, shiny eyes before. And they were not hers but someone else’s eyes. The train arrived on different stations and departed, her destination was still far off but this new likeliness of the girl to someone she knew was troubling her. She was confused. Surprisingly, no one else seemed to notice them. The girl looked back again. Reema couldn’t recognize if it was just a delusion or was a face that temporarily coincided with the girl’s face that she was remembering from her past. That very moment, when the girl again looked back into Reema’s eyes her train of thoughts ushered in the reverse mode. She was back to her 19 years old self, laughing with her two best friends, Geeta and Tanvi. The three of them were walking towards the railway station, discussing the English class of the day. “ ‘The classic struggle between a person and time, ends in time winning’, what a boring theme to write a story on”, Geeta says. “I think it’s cool. 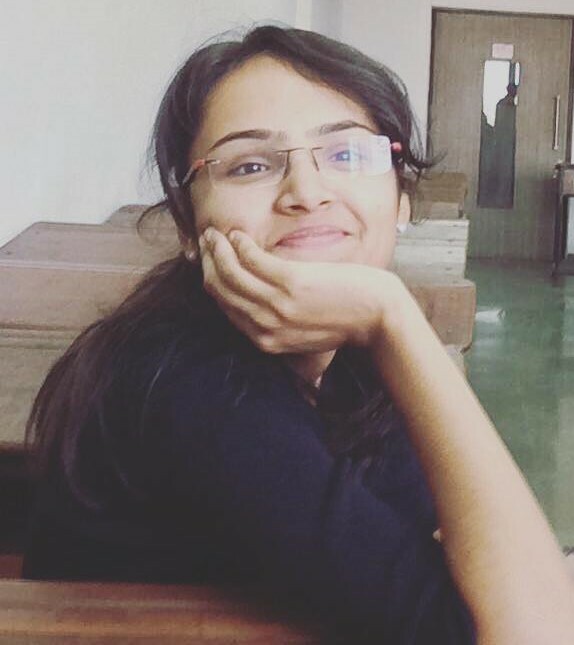 Might make us realize a thing or two while discovering its depths”, Tanvi replies. As she says this, she hears Tanvi shout. Turning back, she realizes what went on. Geeta, failing to board the train, fell on the railway platform, hitting her head on the concrete pavement. Everyone around started shouting and they stopped the train with the emergency brakes. Reema and Tanvi rush down and run towards Geeta, who sees them nearing and says, “I-I shouldn’t have rushed. I shouldn’t have struggled… I-”, and goes silent. Reema blinks and is brought back to her present self, staring at the kiddish, laughing eyes of Geeta, that tried to send her a message. She blinks again and the three girls are gone. She ascends from the train on VT station and advances towards her workplace which was beside Saint George’s hospital, but firstly, she had to visit the hospital. She buys a bunch of flowers from the street vendor on her way. Geeta loved mogras and what more could she want, 20 years after she’d woken up from the coma. The smell of mogras and the smile of her best friend was what she had missed all this while.